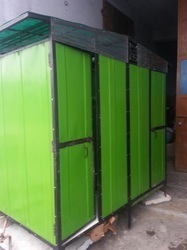 Prominent & Leading Manufacturer from New Delhi, we offer frp portable toilet, portable 2 seater toilet, economy toliet, prefab toilet, 2 seater portable toilet and prefab frp toilet. 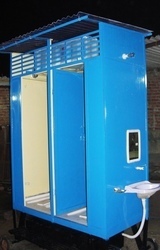 We are the leading FRP Portable Toilet and supplier in India. These are manufactured as per the clients specifications and are supplied in any quantity. These offer clean environment and durability. We are the leading supplier and Portable 2 seater Toilet manufacturer in India. these are manufactuired from state of the art technology and high grade raw material. These are designed and fabricated as per the clients specifications. We are the leading Economy Toliet manufacturer and supplier from india. These are manufactured as per the latest standards of the industry. These are designed and manufactured as per the clients requirement. Owing to years of industry experience and knowledge, we have been able to offer a wide range of Prefab Toilet. Economical to use, our offered portable toilet is provided in diverse customized options to choose from. 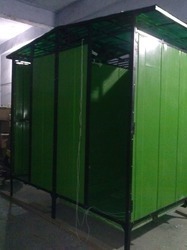 We design this portable toilet at our end using high quality material. 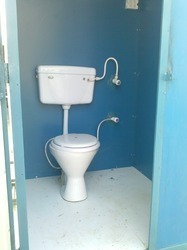 The portable toilet offered by us can be availed at pocket friendly rates. We are leading supplier of 2 Seater Portable Toilet. 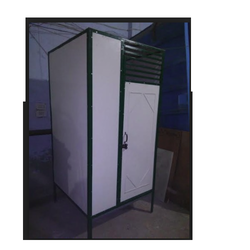 We are the leading manufacturer of Prefab FRP Toilet in India. These are manufactured as per the clients specifications and offer durability and clean environment. These are fitted with water storage tank, wash basins for washing hand and separate toliet sections for gents and ladies. These can be easily towed or moved from one location to another. These also have the provision for exhaust fan and light bulb. 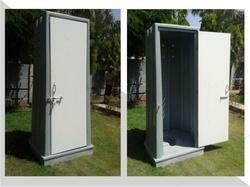 We are the leading manufacturer and supplier of Portable Toilets in India. These are available as per the specifications of the buyer and are available with or without wheels. These are manufactured from state of the art technology and high grade raw material. Available in Indian and Western style toilets and has the arrangement for water tank, light etc. We are a reputed company involved in manufacturing and supply of FRP Construction Site Toilet. These are fabricated as per the clients requirements and specifications. These offer durability and are offered at competitive rates. 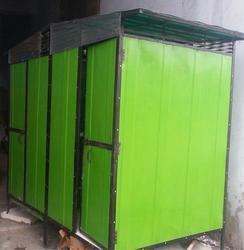 We are the leading mantacurer and supplier of FRP Toilet Block in India. These may have 2-10 toilet sets and may be arranged in front and back section for gents and ladies. These have the provision for drainage and water tank. These can also have the basic needs like light, wash basin for washing hands etc. Being a quality-centric organization, we are offering a vast spectrum of Executive Toilets. Available in a variety of colors and specifications, the offered executive toilet is designed with perfection with sophisticated tools & technology using finest material. Furthermore, this executive toilet is provided in numerous customized options in various sizes & designs. Keeping abreast of advanced technological developments, our organization is indulged in offering a vast spectrum of Prefabricated Toilets. Easy to install & clean, our offered toilet is provided in diverse customized options to choose from. We design this toilet at our end using high quality material. The fiberglass pool offered by us can be availed at pocket friendly rates. We are an reputed company involved in manufacuring and supply of Eco Portable Toilet in New Delhi. These are manufactured in Frp material as per the clients requirement and specifications. These are supplied at competitive rates and are available in a vary of colors. These are manufactured from high grade material proceured from reilable vendors of the market. Attributable to its high appeal, our company is involved in offering a broad array of FRP Modular Toilets. Available in various options like Available in options of 2 seater, 4 seater etc. Our offered modular toilet is designed at using high quality material and latest technology in accordance with the market standards. Moreover, our offered modular toilet is available in customized options to attain maximum satisfactions for our customers. 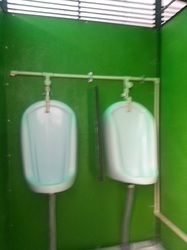 We are the leading FRP Urinal manifacturer ans supplier in Delhi. These are either made in FRP as shown or can also be fabricated in Puff material as desired by the client. With the inclusion of advanced tools, we are indulged in offering a wide gamut of FRP toilet. 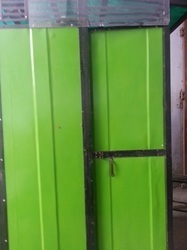 Fitted with mirror, light and washbasin, the offered portable toilet is designed at our end using finest quality material and latest techniques in accordance with market norms. In addition to this, our offered portable toilet is available in specifications. 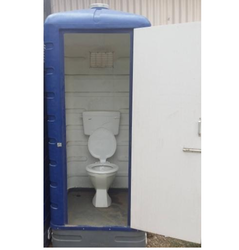 Our honored customers can avail this portable toilet from us at affordable prices. Symbolic to all the success we have gained, we are offering a range of FRP Portable Toilet. Proper connection of water supply, our offered modular toilet is designed at using high quality material and latest technology in accordance with the market standards. Moreover, our offered modular toilet is available in customized options to attain maximum satisfactions for our customers. We are leading supplier of Labour Toilet. 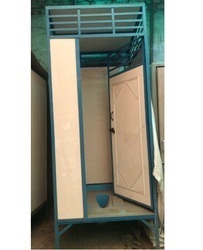 Looking for FRP Toilet ?